We have had a caravan in our garden at Golden Burn Cottage for over 40 years. Over that period it has been enjoyed by family, friends and holiday guests alike. In early 2016 we will be replacing the existing van with a brand-new high specification van that will be available for holiday lets. The caravan is ideal for those families and couples that want a quiet secluded location with superb uninterrupted views over the North Coast of Cornwall from Trevose Head in the north to Park Head in the south. The caravan is less than 5oom's walk from Porthcothan Bay which is one of Cornwall's finest unspoilt beaches. 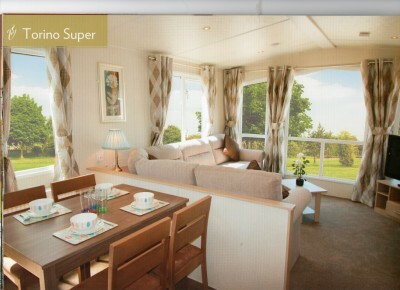 The caravan is available to let throughout the year. The present photos show the existing cavaran that is about to be replaced. 2016 Victory Super Torino 32ft x 12ft model. 6 Berth: 1 Double bedroom, 1 twin bedroom and 1 double pull out bed in lounge. Full equipped kitchen - fridge, microwave, gas cooker. Secluded area of the garden.